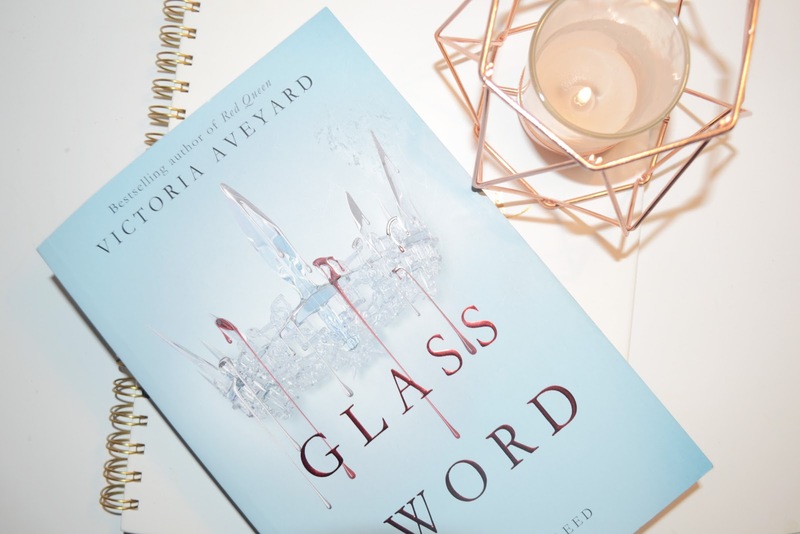 Glass Sword by Victoria Aveyard is the highly anticipated sequel for the Red Queen series. Once again Mare's life is in constant danger and she tries desperately to save herself and the one she loves from the hands of Maven and Queen Elara. Forced into hiding Mare is joined by Cal, Kilorn & Farley to recruit and protect new bloods. Those who have red blood but silver abilities like the ones Mare's herself has and also her brother Shade possesses. Once again I was captured by Aveyard's beautiful and, at times, haunting language. This book is also told in Mare's perspective allowing a wonderful insight into her mind, it's amazing to see a character who can be protective but also selfish. Although Mare has an urge to protect everyone, she follows the rule that 'anyone can betray anyone' and 'trust no one.' In a world where you are divided by the colour of your blood and children are conscripted to join the army from the age of 15 it's no wonder betrayal is among the mists. The book itself is noticeably bigger, not only in width and length, but also in page length. Whilst the size of the book made me slightly agitated due to the fact I couldn't take it on holiday with me as it was way too big! It does not take away from the storytelling and the added pages means more Mare which is always a joy. A character I have grown to love in this book, and I would also like to see more of, is Kilorn. Mare's best friend, their squabbles and mini fights are entertaining and make the two as a pair extremely likable. Kilorn is not a newblood, but fights for the reds. Whilst his views at times can appear jarred and his lack of abilities may question what his worth is he makes up for it in his loyalty towards Mare. Once again the ending leaves us on the edge of our seats begging for more. My only complaint is in Red Sword there were more opportunities for Mare to use her spectacular powers and also to combine them with Cals. This part of the books engages and speaks to me on a different level, it has the ability to take me to this different world and who does not dream of having mystical powers?